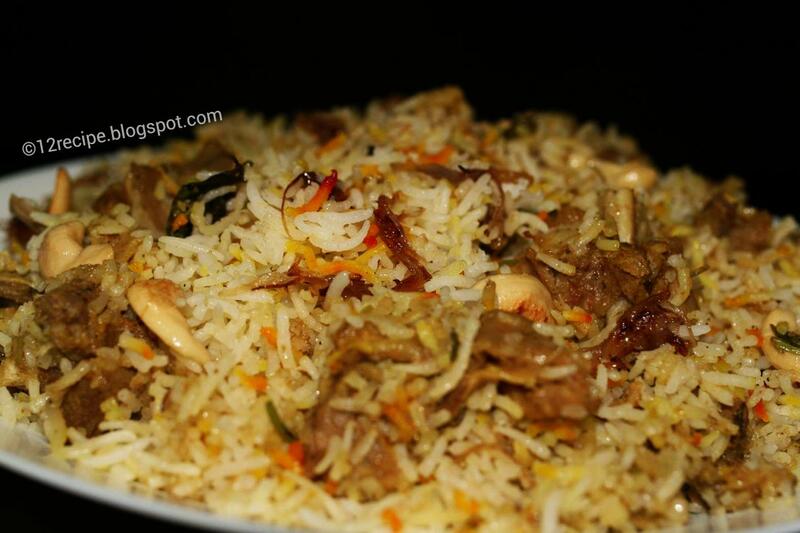 There are lots of variety biriyani’s named according to the current places in which they made. But most of them tasted the same. 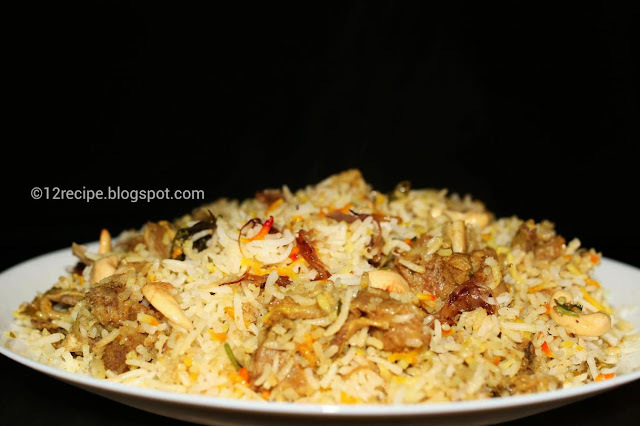 The two different signature recipes among them is Kerala Biriyani and Hyderabadi Biriyani. Remainig others are the followers of these two. Hyderabadi mutton biriayani is also called Kacche gosht ki biriyani. The tender mutton pieces are marinated in spices and yogurt mix and do the dum process straight away. Heat oil in a pan and fry the onion until just golden in color (not brown). Take out the onions.keep the remaining oil for dum process. Mix the onions with mutton and all other ingredients under mutton masala. Keep it in fridge for overnight or at least 5 hours (other wise the meat didn’t get cooked properly). Drain it. Cook it in enough more boiling water by adding cardamom, pepper cones, cloves, cumin seeds, cinnamon and salt. Cook until it cooked ¾ th (or half). Drain the rice and keep aside. In another large dum pan; Mix the marinated mutton and remaining oil. Then spread the cooked rice over it. Above that spread all the garnishing ingredients evenly. The cover the lid tighly and coat it with aluminium foil or seal with a flour dough; and then place a heavy weight on top of it. Take care that no steams are coming out. Place this vessel on top of a iron tawa and allow to cook it on low flame for 1hour and 15 minutes. Switch off the flame and don’t open the lid for 30 minutes. Carefully open the lid and give a good mix. Serve hot with some raitha and pickle.